The country’s over-the-top (OTT) market is estimated to reach USD 5 billion by 2023, driven by rising affluence, increasing data penetration in rural markets and adoption across demographic segments including women and older generations, a BCG report said Tuesday. The report named ‘Entertainment Goes Online’ expects the advertising-based video on demand to be 43% of the OTT market, subscription video on demand and transactional video on demand to constitute 32%, while international market to account for 25%. “We expect around 40-50 million paying subscribers in India by 2023, while about 600 million users will be users of advertising-based video on demand,” the global management consulting firm said in its report. OTT is the delivery of film and TV content through the Internet, without requiring users to subscribe to a traditional cable or satellite. The report found that the number of players in the Indian OTT market has seen a 3.5x increase in the last six years, growing from just nine players in 2012 to 32 in 2018. It noted that 48% of the country’s Internet users or around 650 million by 2023, are expected to be from rural areas. “With the development of regional content by various players, the rural market is poised to become a significantly large opportunity for players. 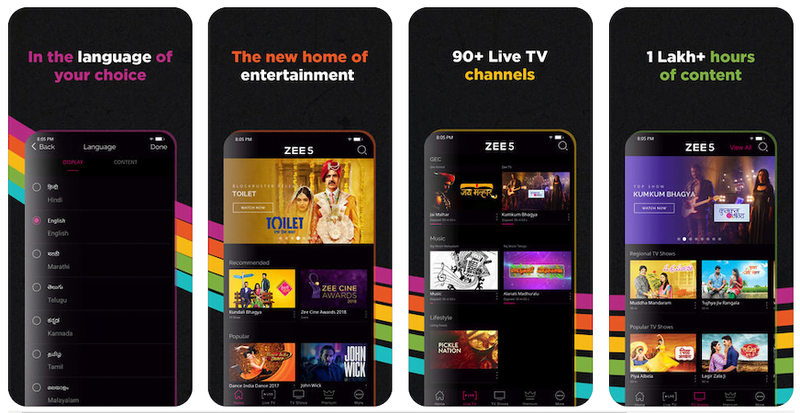 OTT is riding the wave of increased data consumption and Internet access in rural India, has opened a new distribution channel that is viable for regional and niche content,” it said. The report pointed out that around 16% of media consumption in the country is already on digital media. “Relative to developed countries, India is lagging. However, for the Indian youth, already 25% of media consumption is digital. This indicates that the growth in India is likely to catch up,” it said. While traditional media continues to be the media of choice for consumers with an overall share of 84%, India is seeing an increase in the share of digital in media consumption. BCG said this would most likely influence the impact and growth of digital advertising as well. It added that the digital consumption in the country has been additive and not cannibalising traditional media consumption. Over 80% of users use three apps or less, and the share of users using over four apps is low, according to the report. “Investment for original content by OTT players is increasing at a fast clip. In addition, to live sports rights, the nature of shows produced is also evolving tentpole properties built for OTT are at a cost per hour of the 3-4X cost of traditional TV content,” it said.